The deets: J.Crew blazer; GAP jeans; Piperlime tank and bag; Betsy Johnson chain necklace; Ray-Ban sunnies; Shoemint wedges (similar); Essie "Bikini so Teeny" nails; Michael Kors watch. On Saturday morning the evil winter gods decided to turn spring loose for a bit which resulted in a gloriously perfect day. Obviously, if you weren't on a rooftop somewhere having a libation while letting your forehead and nose roast you weren't taking full advantage of this gift. Although it was followed up by the dreariest of rainy days, it totally reignited my excitement for the upcoming months. Bring on the brightly colored everythings (blazers especially), outdoor partying, and general good time having. I'm ready! Those wedges are divine- love 'em! 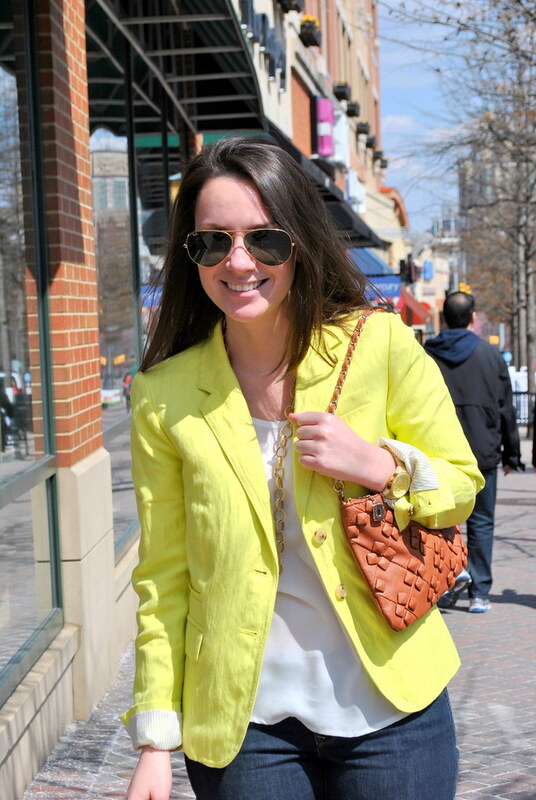 I love your lemon blazer! It's the perfect pop of color for Spring. The weather on Saturday was divine! I also took advantage of it. 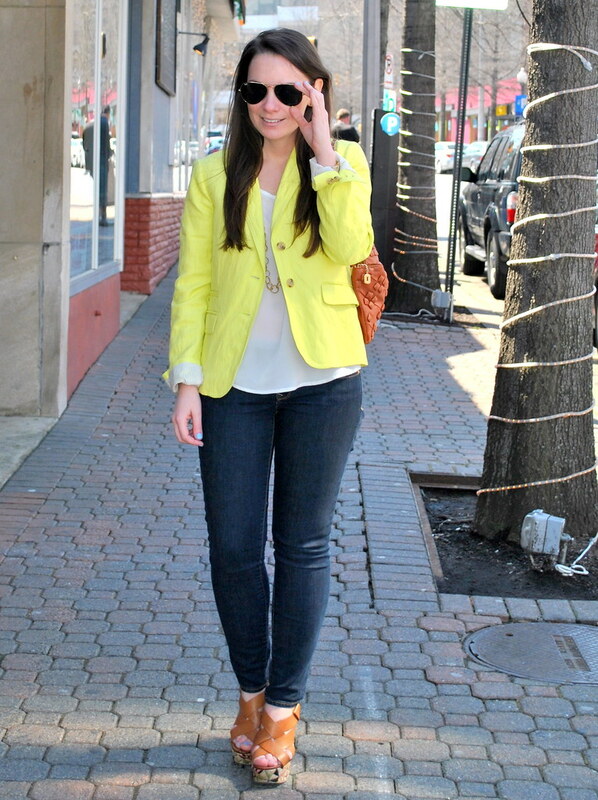 Love the yellow blazer on you! Love the yellow on you- it looks great with your hair color! Love the blazer! I have a J crew navy one I adore, but sometimes I feel like it's hard to pull off without looking like I'm on the Hill. Haha I'm excited for "brightly colored everythings" too! Starting with this blazer. Love it. Saturday was perfect! 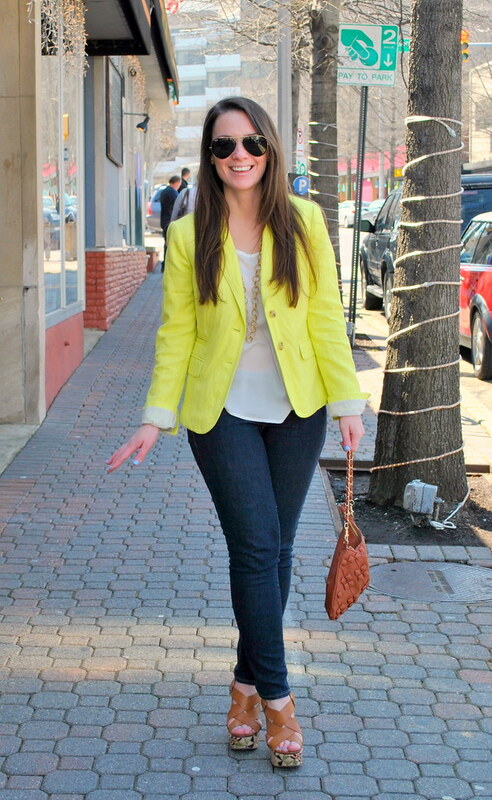 I love this yellow blazer, perfect for a bright and sunny day! I like the bright color! 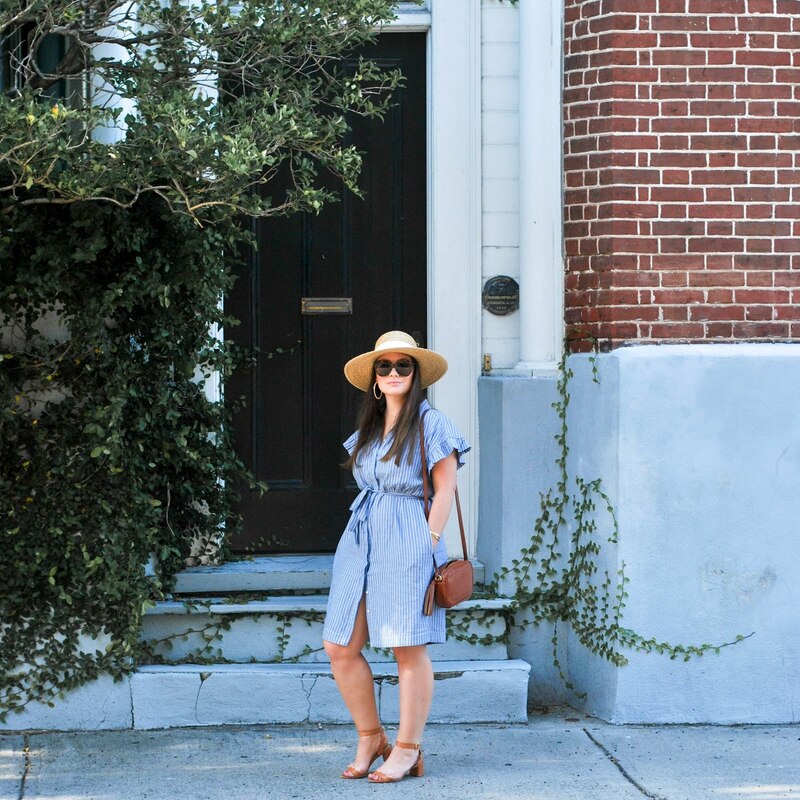 Perfect outfit for spring! 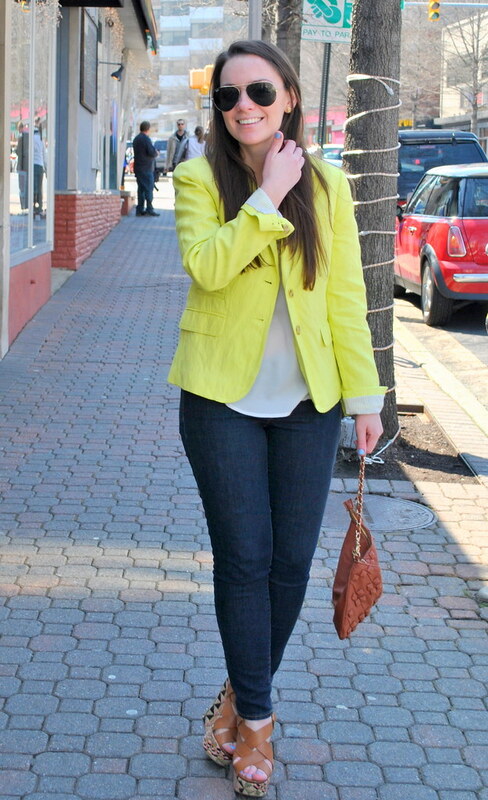 Bright blazers are a must for spring! I recently got a pink one and it's so fun to wear–the color alone cheers me up! Love that blazer! I feel the same about spring. Isn't it funny how the smallest bit of sunshine can put us in the best mood?! So pretty! Love you in that blazer! 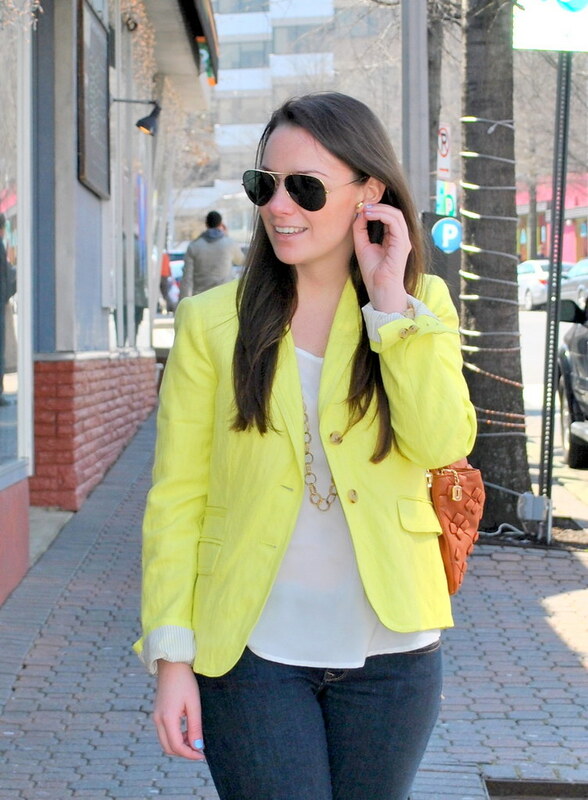 loving that yellow blazer! i just bought a pink one at H&M, they have so many colors.